The TV Ratings Guide CNN ratings deadline:wh ratings Fox News ratings hannity ratings Ingraham Angle ratings Morning Joe ratings MSNBC ratings Rachel maddow ratings Rebecca Takes on the News Velshi & Ruhle ratings Rebecca Takes On the Cable News, Week of March 11: Firings and Vacancies and Special Elections, Oh My! Rebecca Takes On the Cable News, Week of March 11: Firings and Vacancies and Special Elections, Oh My! As per usual, it was a busy week in the world of politics. 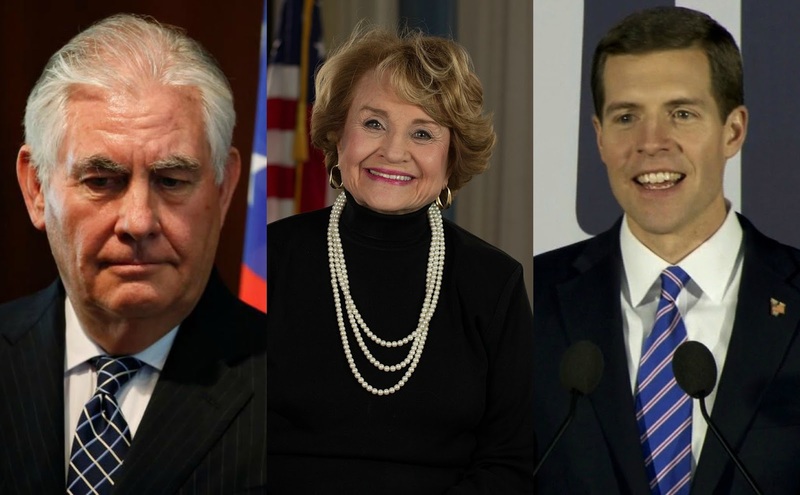 This week was filled with various national headlines, including the firing of Secretary of State Rex Tillerson, a special election in Pennsylvania, and the death of longtime representative Louise Slaughter. 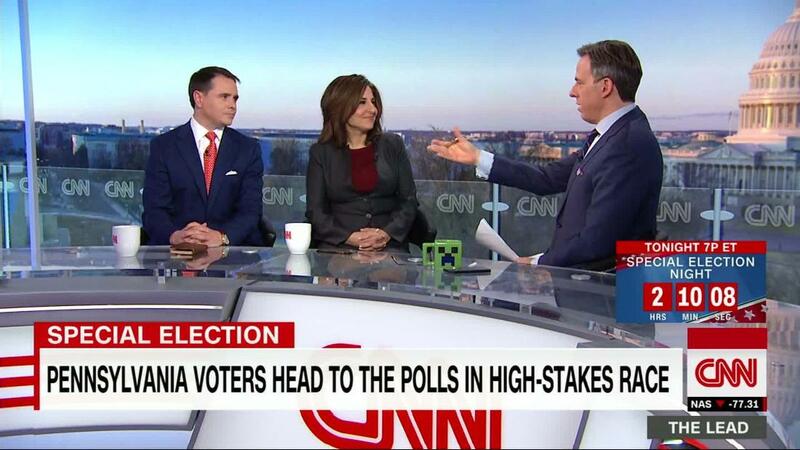 Needless to say, the talking heads of cable news were quite busy this week. MSNBC had a lot to be happy about this week, and very little to be upset about. The network's only real negative for the week was Morning Joe. Morning Joe took a 3% tumble this week, an acceptable but obviously not ideal result. It fell to 15th place on the chart, which is on the weaker side of its chart placements. There was a bit of good news for Morning Joe, though. It was only narrowly defeated by its early morning rival Fox & Friends, the closest the two have ever come. 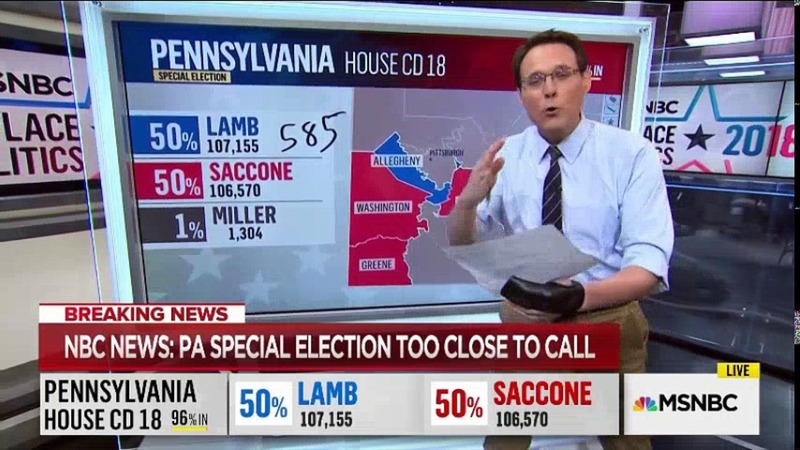 Everywhere else, MSNBC saw gains of some kind, be it huge or tiny. One of biggest gains happened to be for MSNBC's tiniest show, Velshi & Ruhle. 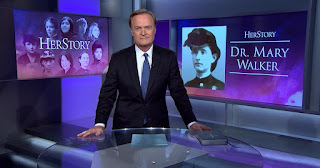 The late-morning series soared 16% in the ratings to a rounded 0.12. That still wasn't enough to escape last place, but it was still more than enough for me to call this week's performance a win. In the afternoon, Deadline: White House closed the gap between it and CNN's The Lead, but only saw a 3% gain. The show ended up falling one position on the chart, taking 13th. Beyond that, all is good for the network. The Rachel Maddow Show soared 7%, extending its lead over rivals AC360 and Hannity by even more. All In worked its way out of last in the 8 PM timeslot and rose by 6%. But the most impressive of the bunch was The Last Word. After just working its way to a podium position last week, it again rose in the ranks, this time to second. This is the first time in the history of this article series that a network has claimed both of the top slots, and that is surely something to be proud of. Oh CNN. How do I even analyze this week? There was a lot of movement, that's certainly a start. That movement was not all good movement. But it wasn't all bad, either. The network was home to the show with both the largest upward movement and the second-largest downward movement. That's certainly a unique feat. The week's biggest gainer was typically-anemic At This Hour, up 25% and working its way into the middle of the pack. Wolf managed a similar feat, up 17% and four slots. It worked its way into the Top ten, and began to rebuild itself after a few rough weeks. That's about all the good news that I've got for CNN. Though both shows fell, their primetime lineup was probably the best of the rest. With AC360 down 2% and CNN Tonight down 4%, the lineup held up OK. This is especially true when considering the decline for last week's CNN winner Erin Burnett OutFront, which this week tumbled 10% and took 8th place. The Lead, which had a nice week last week, gave back much of that uptick, falling 8% this week. CNN also took a distant 3rd in primetime this week. So to put CNN's performance this week in emoji: 👎. This was a good week for Fox News. While it had a weak performance for one of its signature shows, the rest of the lineup ticked up after weak performances last week. 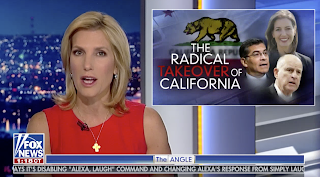 The best performance of all was easily The Ingraham Angle, which rose 14% and took back its spot in the Top 5. Considering where it was last week, this is a very healthy performance. Its fellow primetime series didn't do as well, with Hannity rising 5% and falling to a bronze position. Tucker Carlson didn't rise as much, just 2%, but it actually managed to rise to 4th. Daytime series Shepard Smith Reporting was up about 3% from a weak performance last week, though it managed to actually sink to second-last. Which is admittedly not great. But the really not great performance this week on Fox News was Fox & Friends. The show went from bubbling outside the Top 10 to barely beating Morning Joe. That isn't great. I praised the show above, but The Last Word truly deserves to be commended for its performance this week. 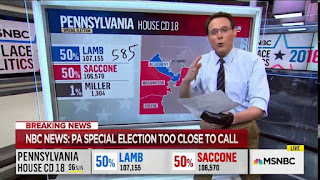 In addition to taking second place in the rankings, it also scored some of its highest ratings its seen since the inception of Rebecca Takes on the News. I named the show the winner a few weeks ago, but this performance is even more impressive. It helped its network make Rebecca Takes on the News history, and for that, it won the week. It seems pretty clear why Fox & Friends is in this position. With a 13% decline, it was the largest decline across the three networks. It also sank in the rankings, which is another reason it's here. The other shows on Fox News held up well, with one even soaring 15%. Fox & Friends is the ugly outlier here. It was the clear choice.